a nice balance of support and flexibility. 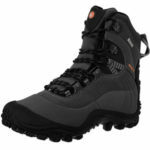 There is a lot of love for the Scarpa Vortex XCR Trail Walking Boots in regard to the comfort and support offered. 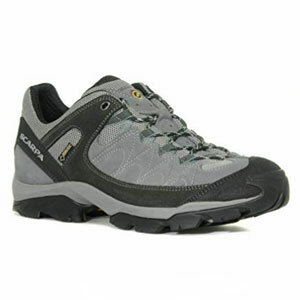 Many wearers feel that these Scarpa shoes are highly comfortable. There is great cushioning and support in the insole, with a flexible midsole in the forefoot. 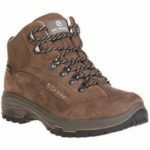 The suede upper isn’t too heavy for long distance walks but there is still plenty of protection where it counts to prevent against injuries on hikes. The other benefit of this Scarpa boots is durability. 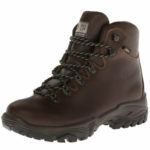 There are buyers wearing this as a work shoe for outdoor occupations, rather than just as a walking shoe. There are impressed with how long the shoe has lasted, both in terms of the weatherproofing and the sole. There is a Gore-tex material that helps with protection and breathability. On that note, there are also positive comments about the quality of the grip on the sole, especially on wet and uneven ground. There is a lot of praise for these Scarpa Vortex Trail Shoes, but there is a still a minority struggling with the materials. The majority of buyers are impressed with the quality of the materials and the comfort on offer. However, there are also some complaints about the mesh fabric on the inside of the shoe. A small number of buyers feel that it is far to rough and noticeable. In one case, a wearer talks about it being too abrasive and causing blisters. This is a rare comment, perhaps down to the shape of the foot, a poor fit or improper socks, more than the material. Yet, it is sill worth keeping in mind depending on the purpose of the shoes. Does this lack of negative feedback mean that this Scarpa Vortex XCR design is still recommendable? There are a few wearers that talk about the value for money offered with these shoes. Some may have had some hesitation about paying the general RRP for this pair. Yet, they feel that the comfort and durability made sure this was a worthwhile purchase. There are also people on their third pair, which shows impressive brand loyalty and consistency in the product. 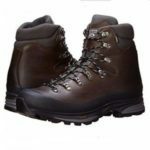 All of this means that despite any of the negative comments aimed at them, these Scarpa walking boots are indeed highly recommendable to many users. 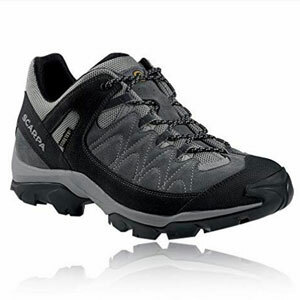 Find more reviews about the Scarpa Vortex XCR Trail Walking Shoes on Amazon here.